Can someone please explain what is going on with this hideous Forever 21 top? Step aside, Kylie Jenner. Your torn up Harley Davidson sweatshirt fragment is no longer the ugliest non-top on the internet. 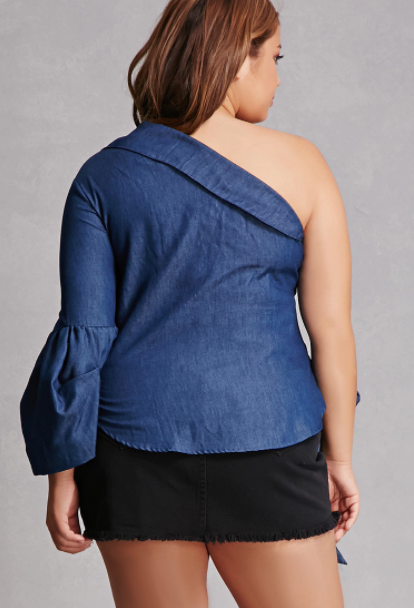 Behold: Forever 21's "Plus Size One-Shoulder Top," a blouse that strikes that delicate balance of being both too much shirt and not enough shirt all at the same time. Okay, what is happening here? First of all, when the hell did Forever 21 start selling things that cost over $15? Second of all, what happened to the left half of that shirt? Why the bow? Are those buttons crooked on purpose? We need answers, Forever 21. Even the model is like "WTF is this sh*t?" Oh cool, a random back collar. Here is the description of the top from the retailer's website. 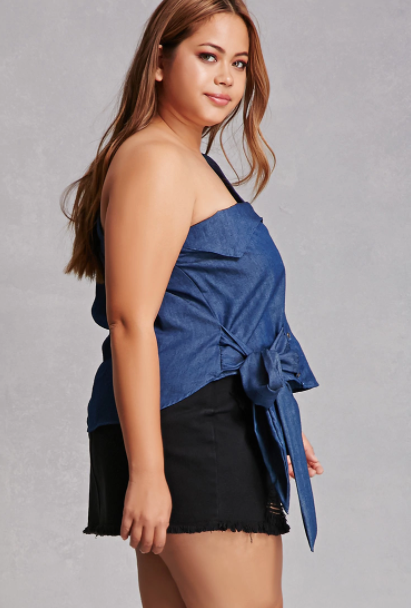 A chambray top featuring a one-shoulder design with an asymmetrical collar, a button-front closure with an asymmetrical self-tie at the hem, and one long sleeve with a trumpet cuff and pickups. 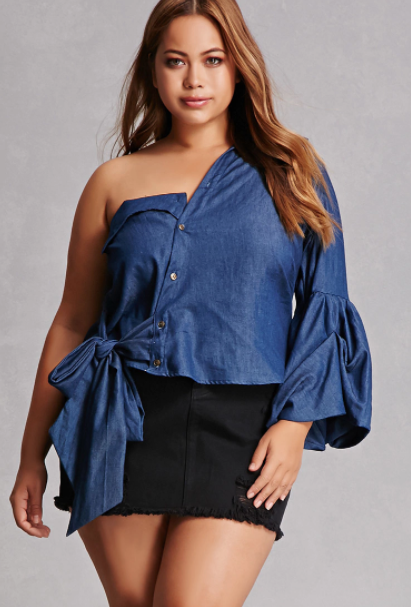 One thing is for certain, if the shirt is coming from Forever 21, the mecca of fast fashion, this atrocity will probably fall apart after two washes anyway. Honestly, it's probably for the best.